HomeSeptember 2011Can we be hospitable post September 11? 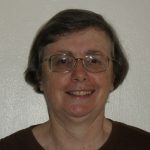 How can we live the Gospel imperative of hospitality when we have become so wary of the stranger in our midst, asks Good Samaritan Sister Veronica McDougall. The context in which Saint Benedict wrote – the sixth century – was a time of wars and barbarian invasions, of displaced persons and poverty. You could say it was a time not unlike our own. Ten years ago on September 11, the world stood still in horror and shock as we watched an invasion, followed by destruction and loss of innocent lives that changed not only the United States, but the whole world. I watched from Bacolod City during my first visit to the Philippines. Returning to Australia a few days later, I felt the tension and fear in airports and on the plane as I worried about my personal safety. Since that time, security measures throughout the world have increased intensely. It’s an obvious response, but how can we live the Gospel imperative of hospitality when we have become so wary of the stranger in our midst? Terrorism’s impact seems to have left us less inclined towards inviting others to live in our peaceful land. St Benedict’s teaching on hospitality offers me another perspective and may help us recover that wonderful spirit of Australian openness and of lending a hand. I now live in the Philippines, and recently had a month’s intense study of the Rule of St Benedict with an international authority, Dr Aquinata Bockmann, a member of the Benedictine Missionary Sisters of Tutzing, Germany. Aquinata led us through many chapters of the Rule, word for word. Such detail, but at the same time a spiritual journey offering many challenging ideas. “All guests who come are to be received as Christ”, says Benedict, in the opening words of his chapter on hospitality. The Abbot and whole community offer a service of love. All who come – travelling monks, pilgrims, the poor, the rich, strangers – all are called ‘guests’. Benedict makes no distinction in their treatment. Each is given a ritual of welcome. Benedict even breaks with custom by having the leader, the Abbot, ask a blessing from the guest. Australia’s asylum policy, however, does make distinctions; our government distinguishes harshly between asylum seekers who arrive by air and overstay their visas and those who arrive in leaky boats. Our detention regime treats asylum seekers more as criminal than needy guest. I might stand accused of naiveté, but is there any way of viewing asylum seekers as blessing rather than dreaded curse? Benedict’s hospitality is radical in the extreme. Guests are invited to prayer and are given a kiss of peace; the Abbot washes their hands and the whole community washes their feet. Love, respect and humility abound. All guests eat at the Abbot’s table, a place of honour. They even have a guest house in which to stay. Benedict continues, “It is most especially in the reception of the poor and of the strangers that attentive care is to be shown, because in them Christ is the more received”. The poorest of the poor and the most desperate are to receive the most care. Recently I was asked by one of my colleagues at the Sacred Heart Seminary, Bacolod: “Why doesn’t Australia let more people into the country? You have a lot of space and we have too many people here and not enough land”. He has a point. When I consider the radical hospitality presented by St Benedict in his chapter on “Receiving Guests”, I’m left pondering my own attitudes towards ‘welcoming the other’. I don’t have the answers, but Benedict poses real challenges and questions for me and for my land of birth. Good Samaritan Sister Veronica McDougall has a background in education. She spent a number of years in Bacolod, the Philippines, where the Good Samaritan Sisters have been ministering since 1990. Currently Veronica lives in western Sydney and is supporting asylum seekers and refugees living in the area.